This operation generates a description of an image in human readable language with complete sentences. The description is based on a collection of content tags, which are also returned by the operation. More than one description can be generated for each image. Descriptions are ordered by their confidence score. This operation recognizes content within an image by applying a domain-specific model. 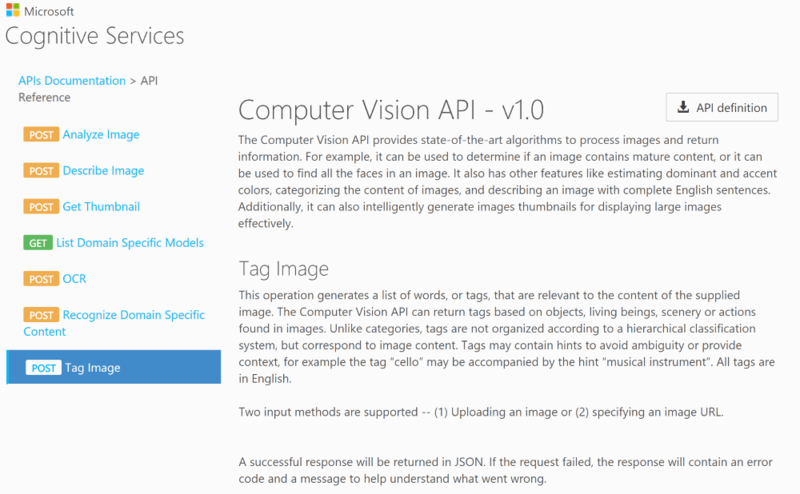 The list of domain-specific models that are supported by the Computer Vision API can be retrieved using the /models GET request. Currently, the API only provides a single domain-specific model: celebrities. This operation returns the list of domain-specific models that are supported by the Computer Vision API. Currently, the API only supports one domain-specific model: a celebrity recognizer. This operation generates a list of words, or tags, that are relevant to the content of the supplied image. The Computer Vision API can return tags based on objects, living beings, scenery or actions found in images. 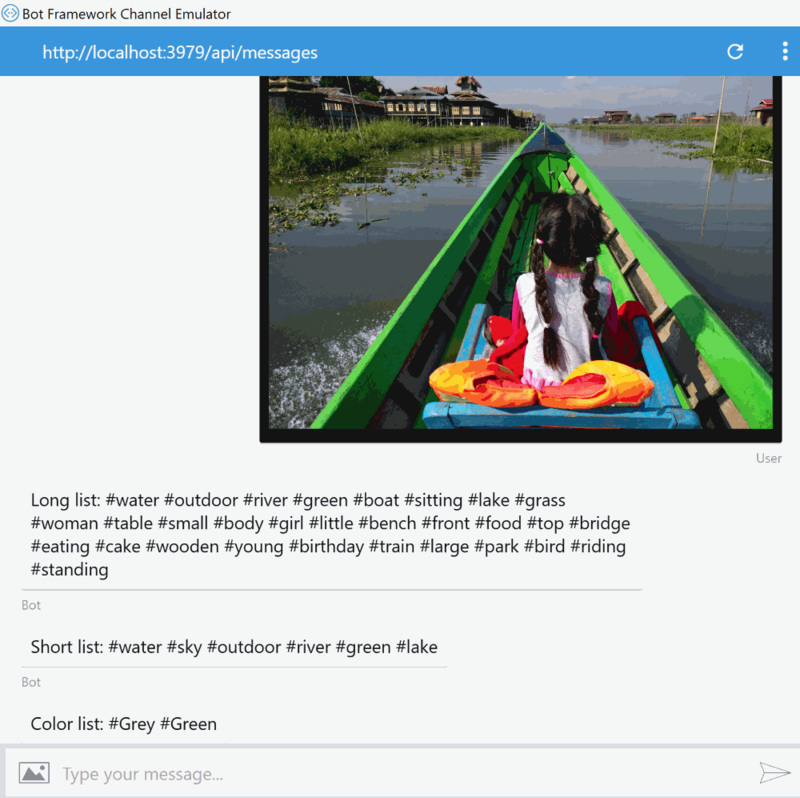 Unlike categories, tags are not organized according to a hierarchical classification system, but correspond to image content. Tags may contain hints to avoid ambiguity or provide context, for example the tag “cello” may be accompanied by the hint “musical instrument”. 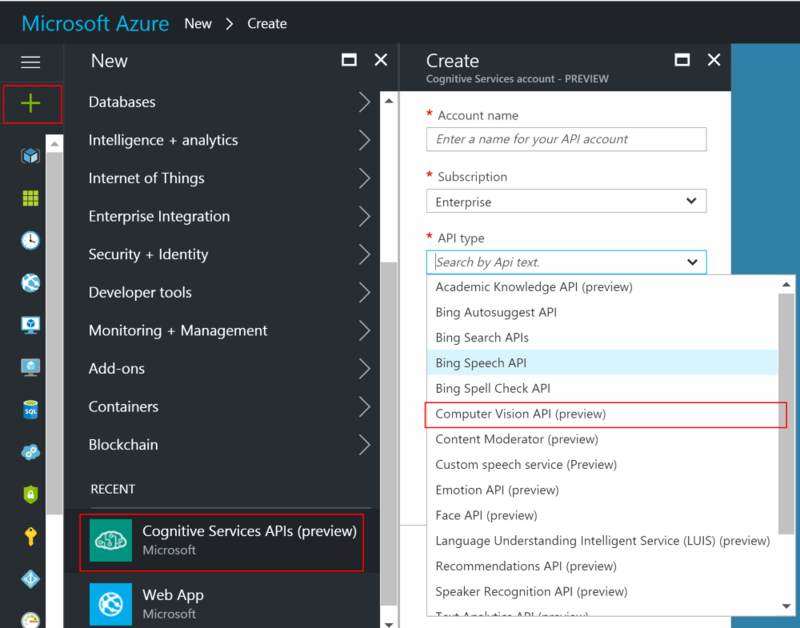 In order to use the Computer Vision API, you’ll need to sign up for Azure and get a Cognitive Services key. Using the analyse endpoint we can define the structure of the response we would like; in this case I’m choosing “Description” (to get the long list of tags), “Tags” (to get the shorter list along with a confidence score), and “Color” to pick up the dominant colours in the picture. var data = image.Content as byte ?? 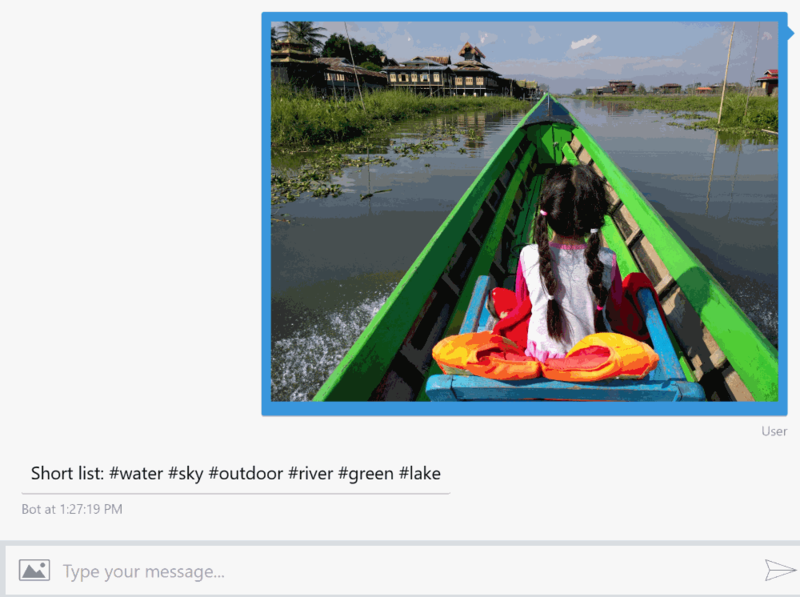 Sending an image to your bot will now result in a selection of potentially useful terms coming back, preformatted as hashtags all ready for you to copy/paste into your image-sharing social network of choice! If you’re not interested in the long list of tags nor the dominant colours in an image, then you can just use the “tag” endpoint instead. // Use the "tag" endpoint instead of "analyse"
As you can see, these are the same results as the analyse endpoint’s tags collection; perhaps the response time is quicker if the image is only being processed for tags instead of the full analysis… not sure. Interesting stuff, right? Writing your own Auto-Instagram bot is one afternoon’s hacking away! Have a go and let me know how you get on.